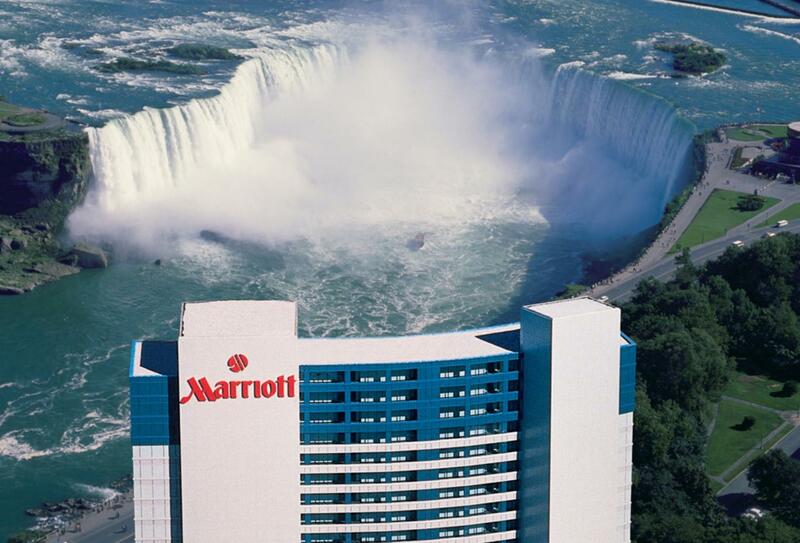 The Marriott Fallsview Hotel and Spa is located closer than any other hotel to the spectacular Horseshoe Falls. A few hundred yards away from the hotel, this magnificent wonder provides a stunning back drop with the falls visible from most rooms and public areas. The rooms are spacious and comfortable while the hotel offers a restaurant, bar, indoor pool, excellent spa facilities and a fitness room. With the facilities and location it is a great stopping point to visit this amazing location. Wake up to the beauty of Niagara Falls! This classic rooms feature incredible views of the Falls featuring the American Falls, Bridal Veil Falls and the Canadian Horseshoe Falls. Located on the mezzanine level of the hotel spectacular views directly overlooking the falls, Terrapin Grille offers a wide variety of options in a stunning environment. 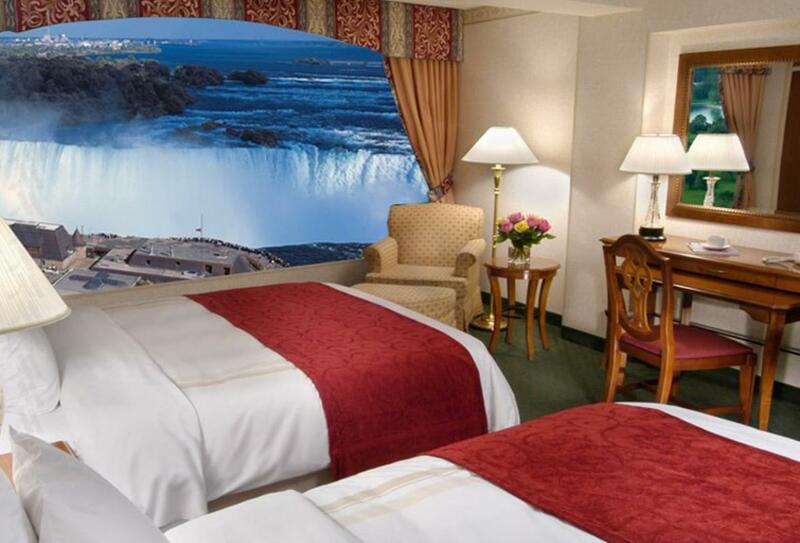 Enjoy a casual, comfortable and relaxing atmosphere with Niagara Falls as your backdrop. 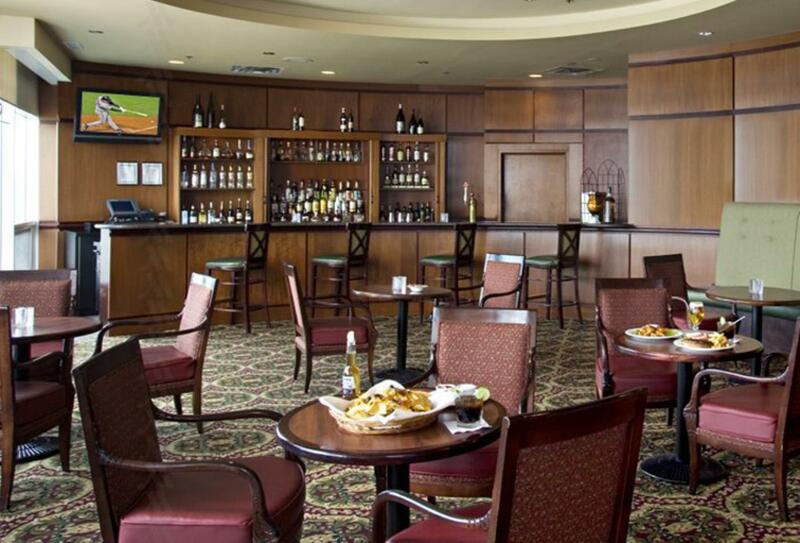 The Lobby Lounge offers spectacular views of the Canadian Horseshoe Falls and the American Falls from comfy chairs. The hotel which is located closest to Horseshoe Falls, just a hundred yards away and within easy walking distance of all the resorts shops, bars, restaurants and the casino.